The Sony Open in Hawaii on Sunday was plagued by a false missile attack warning, a walkout by Golf Channel audio and video technicians and the longest playoff on the PGA Tour in six years. The playoff seemed to take even longer than necessary due to James Hahn’s penchant for dithering over every putt. 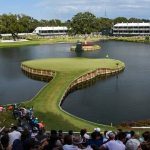 Should penalties be assessed for slow play during a playoff or should they just leave the competitors alone to settle it, despite how bad it looks? Jim Deeks, Fairways Magazine (@jimdeeks): Professional golfers have a responsibility to show exemplary behaviour to the public, in my view. At a time when slow play seems to be even more of an issue affecting the game — professional and amateur — pros should be expected to demonstrate that they can play their shots within a reasonable time, whether it’s a Wednesday Pro-Am, a Thursday morning round, or a Sunday playoff. Penalties should be clearly understood, and should be assessed, regardless of the situation (other than circumstances beyond their control). 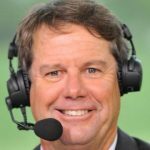 Craig Loughry, Golf Ontario (@craigloughry): The Sony Open was conducted, and televised, but was a painful end. Slow Play is slow play, in my opinion it should be dealt with no matter the situation. I know that may be tough to do, but televising golf to millions worldwide it does no good for anyone when its monkey see monkey do. If people see slow play on TV, they`ll imitate it when playing themselves. Knowing that, we should be showing good habits around pace of play, and showing penalties for bad habits. That said, I`m certain Tour officials were watching closely to ensure it wasn`t getting out of hand, they were starting to run out of daylight. Dave Kaplan, Freelance Writer (@davykap): I think speedier play should be emphasized to avoid scenarios like Sunday night’s snooze-fest, but I think that penalizing players for being too methodical with the entire tournament on the line would be taking it too far. Can you imagine someone like Jason Day or Tiger Woods losing a playoff after being administered a penalty stroke for slow play? You would never hear the end of it! I’d rather suffer through one or two slow playoffs each year than open that can of worms. Michael Schurman, Master Professional / Life Member, PGA of Canada: Prior to the play-off I timed Bryan Harmon, Tom Hoge and James Hahn at various point during the back-9. From the instant their playing partner struck the ball to the moment they struck their ball which is how the Tour measures a player’s pace of play (when they are out of position) each repeatedly took between 1:20 and 1:40 to play. Harmon and Hoge’s play on the 17th where they both flubbed bunker shots a commercial began just after their tee shots and another began as they finished putting. Granted pace of play on the PGA TOUR at this time of year is affected by the fact the draw is in 3-somes due the short amount of daylight but this was the worst I’ve ever seen. A play-off is a perfect time for the PGA TOUR to display their goods. By showing all that conversation between caddy and player, the reference to notes and pacing around the message was loud and clear, “We don’t care about the state of the game”! My biggest complaint is: due to family commitments I had to PVC the golf. I did what I always do; I recorded the golf and the following program in case I ran out of time. The play-off went beyond the second show…not happy! TJ Rule, Golf Away Tours (@GolfAwayTJ): I hate slow play as much or more than anyone, but on a weekly basis, the slow play on the PGA Tour doesn’t really impact the viewing because they have other guys to show while Jim Furyk is lining up his putt for 3 minutes and Kevin Na is wiggling and waggling and stepping away from the ball 14 times. However, when it comes to a playoff and match play event finals, there’s no way to mask slow play, which is frustrating to viewers. Obviously you can’t penalize a guy in the playoff, especially if you aren’t doing enough to penalize guys during the main tournament. It’s an issue that needs addressing as a whole, and I hope they do it sooner than later. Hal Quinn, Freelance Writer, Vancouver: Absolutely the penalties (sic) for slow play must extend to the playoff. They have to be in force until the final putt drops, whether or not the techies have gone home or it takes until Monday. Of course, the issue is that the penalties are not appropriate — has to be strokes — and the rules are not enforced. Other than that, no problem, just hit when you’re damn well ready and not before. Peter Mumford, Fairways Magazine (@FairwaysMag): James Hahn, who was previously noteworthy for doing a Gangnam style dance on the 16th hole at TPC Scottsdale, must have gone to the ‘Jim Furyk Putt My Way’ school. That playoff was an embarrassment. As most of us have said repeatedly in this space, players aren’t going to speed up until the Tour starts assessing strokes for slow play. It won’t take many instances before everybody gets the message. And absolutely, penalties should be assessed during playoffs too. Golf fashion has gone through some major changes over the past 50 years. Think about pork pie hats, baggy shirts, Sansabelt slacks etc. Today’s fashion on the PGA Tour seems to be white pants with a coloured golf shirt. What style of clothing or fashion accessory do you wish would make a return to prominence and who is or was the most stylish dresser on the PGA Tour? Deeks: I think they should bring back kilties for golf shoes. No, not really. 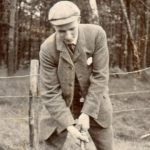 I’m an old guy, so I don’t subscribe to much of today’s fashion trends; but I also don’t live in the past, so I’m not yearning for the days of plus-fours, shirts and ties, and Ben Hogan caps. I can’t say who was the best dresser in previous decades… most were just fine. The few that stuck out were the idiots, like John Daly, or Ken Green before him. Doug Sanders was colourful, but in a relatively tasteful way. Today, I’m glad Rickie Fowler has ditched the all-pink and all-orange look. The one thing I wish the Tour would do is allow the players to wear shorts. Loughry: For me, those Plus 4`s and Payne Stewart always stuck out for me. And then add the endorsement by the NFL to wear team colours when in that team’s home city (Dolphins at Doral, 49’ers at Pebble, etc). How cool was that? Best dressed? Well, I didn`t mind Justin Thomas` outfit last year at the US Open. Ryan Moore has done similar in the past. I like that classy traditional style personally. Graeme McDowell has a pretty tight style of dress on the course. I do like some of the new progressive clothing and colours, provided it’s just a splash of colour, not outrageous and an assault on my eyes. 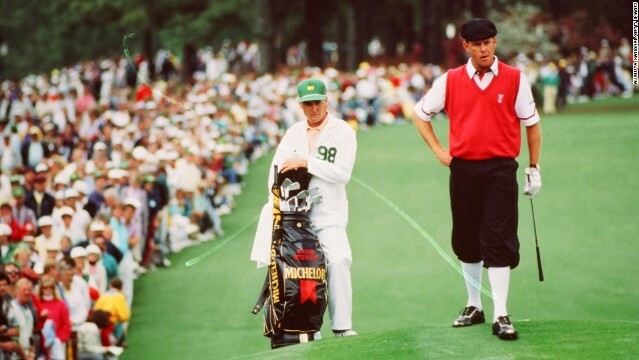 Kaplan: I’d like to see knee high socks return a la Payne Stewart. I like the whole dorky golfer look and I wish more tour pros would embrace it over the white pants/dri-fit look that was referred to in the question. That’s why I’m picking Ian Poulter as the most stylish golfer on the PGA Tour these days. The guy is always out there “peacocking”. And even though he may look ridiculous sometimes, he at least has his own distinct style — which is more than 98% of the field can say at any given event. Schurman: Players are wearing white slacks every day. A few years ago, it was quite common on one of the days. I think it is laziness and/or a lack of imagination. Players today think wearing bright colors identifies them as being unique; they should have seen Doug Sanders….now that was a macaw! The best dresser of all-time on the PGA TOUR was Tommy Bolt with his plaids, dapper fedoras, suede shoes and suave ensembles. 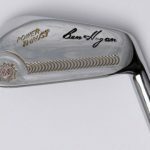 Ben Hogan was the most immaculate. Today, for stylish it’s tough to beat Camilo Villegas and Bernard Langer. Also today, nobody wears beautiful clothes better than Adam Scott. Rule: So I’ve always been a bit traditional (read: boring) when it comes to golf clothing, with the thought that everyone should respect the collared shirts and traditional golf pants approach, however my views on that have changed over the years, and I kind of like most (certainly not all!) of the clothing that the guys are trying. Still not sold on the jogging pant style that Rickie was sporting last year, but the game needs to appeal to the younger generation, and part of that is offering flexibility in the clothing options. I think Rickie has become a bit of a leader in new clothing styles, and would be in the conversation for most stylish on the tour. I just hope the tour loosens up and allows players to wear shorts sometime soon. 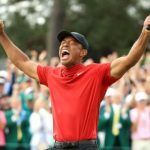 Quinn: No one matched Payne Stewart after he switched to the plus fours and Kangol caps. That was a great look, a modern take paying homage to the game’s origins. And when he cut the sleeves off his rain jacket before his 1999 U.S. Open playoff win, Stewart set another style mode — since then almost all rain jackets are short sleeved. 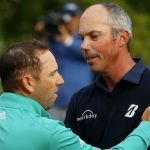 Mumford: I always thought Tom Weiskopf was one of the best dressed players on Tour, especially when he played the Open Championship and would be rocking a beautiful cashmere sweater and Hogan style cap. But the annual best dressed list on the PGA Tour always includes a bunch of 6’2” bean poles like Weiskopf who can wear anything and it looks good. Put that same cashmere sweater and cap on a stocky guy like me and I look like a shady character who hangs around the car park waiting to nick your wallet. Let’s take a peek inside your New Year’s resolutions and see which golf experience you want to knock off your personal Bucket List this year? 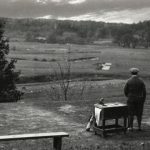 Deeks: I’m hoping to arrange a trip to Devon and Cornwall, to play the five best courses there… followed by a 5-day amateur seniors’ tournament in Normandy. If I fall off a cliff into the English Channel on the last day, so be it. I’ll die a happy man. My only other BList item is to shoot my age, but I expect that’ll happen when I’m about 104. 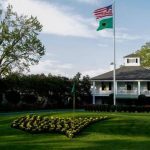 Loughry: Well, the ultimate experience for me would be to attend the Masters for any round. I`ve never been; I`ve tried to get tickets through the lottery but it’s just never happened. I`ve directed several other people to the lottery who have won and I’m very happy for them but I`m hoping the golf gods make it right and flip me a couple of tickets. That would be a DREAM! Kaplan: I’m a ClubLink guy and still have never played Glendale in Hamilton, Eagle Ridge in Halton Hills, or any of Hautes Plaines, Eagle Creek, GreyHawk, Kanata GC, Fontainebleau, Islemere, Val de Lacs, and Le Maitre in Ottawa and Quebec. I know, I know. It’s unacceptable! I’m hoping to play them all this summer. Schurman: Last year I built my own personal use driving range (300 yd x 80 yd) and a 9 hole pitch ‘n putt course (total length 480 yards.) in our front few acres for my wife and me. This year, I want to see them grow-in more so we can play them both. Rule: I’m lucky in the business I’m in that I get to experience some pretty cool golf destinations, and this year I’m hoping to make my way to New Zealand to finally see Cape Kidnappers, Kauri Cliffs and the new Tara Iti. I am sending a couple of groups there this year and I’m a bit jealous! So that tops my bucket list this year! Quinn: It’s been the same every year since I started playing — one measly hole-in-one. Have lost count of the tap ins. Ten years ago a pal’s son — seven at the time — said: I bet I get an ace before uncle Hal. He has six. My father-in-law took up golf at 50. He had four before he retired. 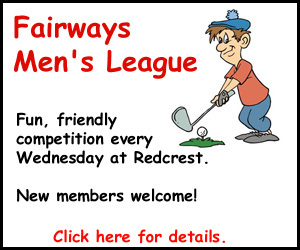 My 36-handicap (on a good day) neighbour got one last year, so did another neighbour playing his fifth game ever. 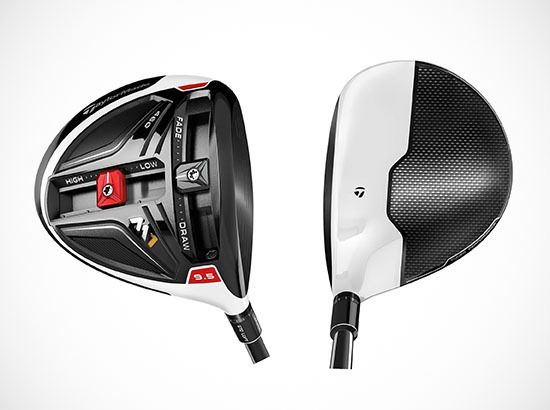 When it comes, it has to be a 7-iron or longer, none of that gap wedge stuff, though I’d probably take it. 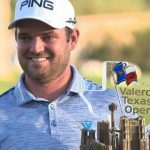 Mumford: There are a bunch of top ranked courses I’ve never played on the west coast ranging from Capilano in BC all the way down to Cabo San Lucas in Mexico. 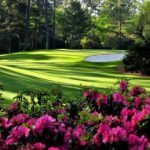 In between are places like Chambers Bay, Bandon Dunes, Pebble Beach, Riviera and a lot more that have been on various Bucket Lists for years. I’m working on a west coast agenda that knocks at least a few off the list. Naturally while in Vancouver I’ll be looking to stay at Casa Quinn but for the rest of it, I may have to live in a tent and hitchhike.